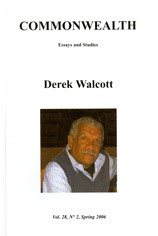 Commonwealth Essays and Studies 28.2 (Derek Walcott) is an exceptional issue devoted to the poetic works of Derek Walcott, winner of the 1992 Nobel Prize for Literature. 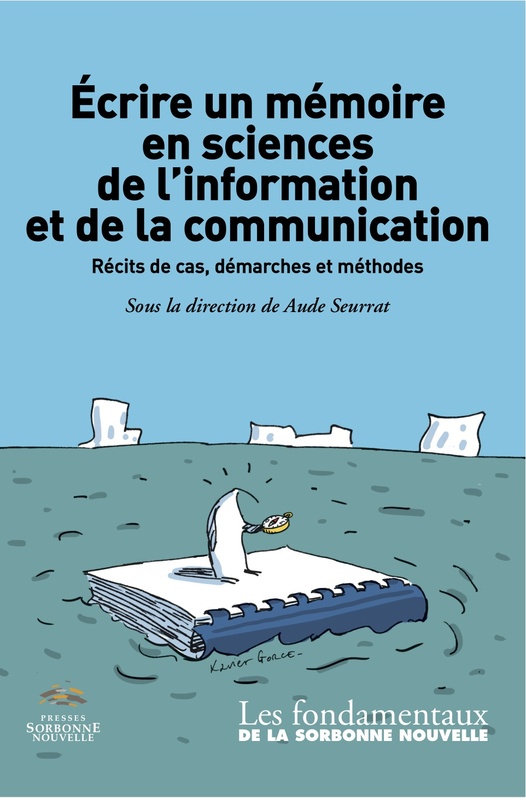 The volume includes an original address by Walcott, as well as a discussion between Walcott and fellow Caribbean writer E.A. Markham. 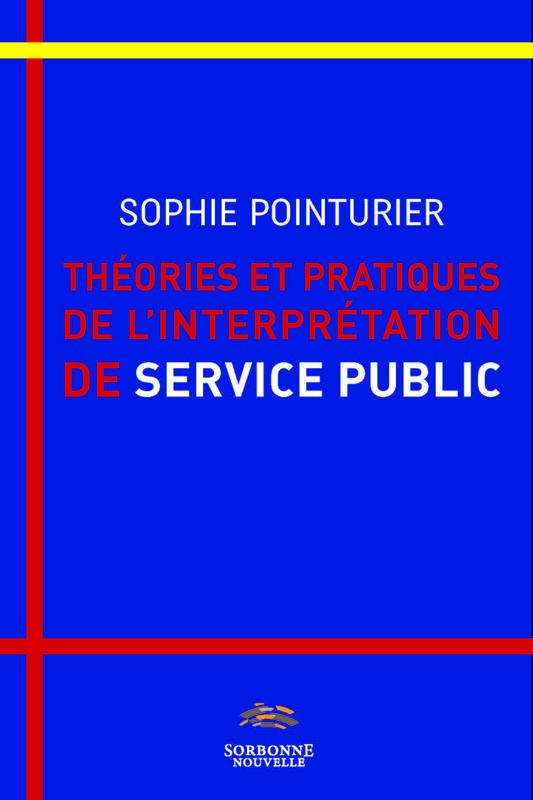 The essays are a selection of papers from the international conference at the Sorbonne Nouvelle on 17-18 March 2006 in which Walcott participated. 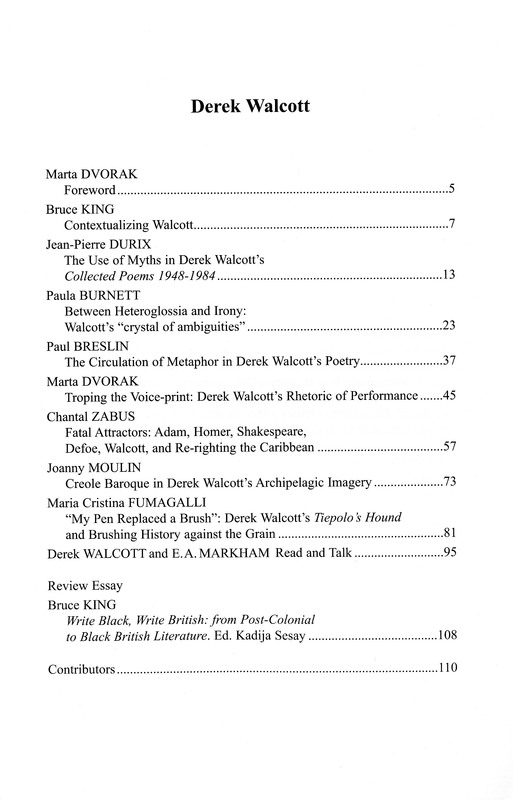 Many of the contributors are specialists in the field of Caribbean literature and acknowledged Walcott specialists, and they discuss issues such as intertextuality, polyphony, performance, writing and reading practices, poetry, language, and society, as well as questions of reception in an age of an increasingly transnational readership.